PG&E is adding a $2.5 Billion charge to their current quarter to account for “probable” liability in the North Bay Wildfires lawsuits. Levin Simes and others are suing on behalf of those with personal and property losses to recover from PG&E. PG&E was found to be the cause of the Atlas, Nunes, Redwood, and Pocket fires. PG&E equipment started all these fires, including instances where downed equipment sparked on the ground in attempts to restart the lines. A summary of the North Bay Wildfire investigation results. Link to the Cal Fire news release. Pacific Gas & Electric (PG&E) is anticipating being held responsible by CalFire investigators for starting the North Bay wildfires, and has made motion in court to blame the damage on local firefighter and city responses to the wildfire. Link to the Argus Courier article. Amy Eskin of Levin Simes Abrams was named Liaison Counsel for the California North Bay Fire Cases. The cases were coordinated in the San Francisco Superior Court of California. Amy will also serve on the Individual Plaintiffs’ Executive Committee. Sonoma County has upcoming events for those recovering from the Northern California wildfires. Events include insurance workshops and a forum on mental health. Additional information can be seen at sonomacountyrecovers.org or visiting our wildfire pages. Napa County Board of Supervisors voted in a closed session late last year to file suit and start litigation against an unnamed party. The County has now announced the defendant will be Pacific Gas and Electric (PG&E). Napa County joins Sonoma, Lake, and Mendocino counties in announcing a lawsuit against PG&E for its role in the deadly wildfires. City of Santa Rosa fire investigators have concluded Pacific Gas & Electric (PG&E) equipment started two wildfires on October 8th and 9th 2017. PG&E power lines sparked in high wind, starting fires in nearby vegetation. One electrical pole continued to spark and start new fires even after firefighters arrived on scene to control existing wildfire. PG&E has warned investors about the liability if their equipment started the Northern California fires that destroyed thousands of homes and businesses. The California Public Utilities Commission held an En Banc meeting to discuss Fire Safety and Utility Infrastructure on January 30th, 2018. The meeting was an all day affair focusing on utility infrastructures role in causing wildfires and long term goals such as planning for climate change and longer high fire risk seasons. The California State Senate Committee on Energy, Utilities and Communication held a Wildfire Safety Hearing on January 26th 2018. The hearing focused on the 1.2 million acres and thousands of buildings damaged in the 2017 California wildfires. The committee found an ongoing need for the establishment of a robust electric safety culture, both at utilities and the CPUC. This is crucial for ensuring safety performance, especially in high-hazard situations. 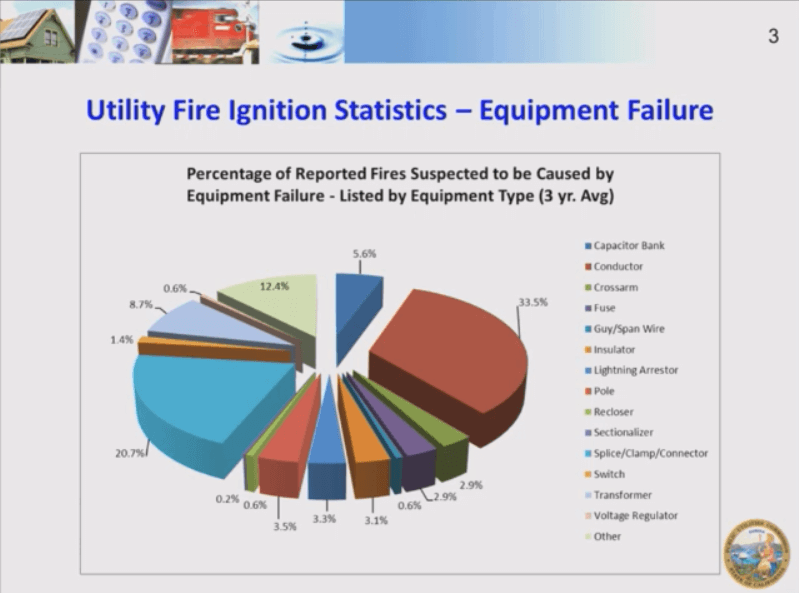 It also shared data such as the causes of wildfire, for which electrical equipment ranked 3rd. Insurance companies have responded to a formal notice issued by California Insurance Commissioner Dave Jones, requesting they remove itemization requirements for personal property claims for anyone who lost their home. Insurers covering 97% of those who lost their home have agreed to the rule. The Honorable Curits E.A. Karnow, Superior Court Judge for the County of San Francisco, ordered North Bay wildfire cases be coordinated together. This will include cases filed by Levin Simes Abrams on behalf of victims affected by the Northern California wildfires. State legislators and investigators are reviewing evidence regarding wildfires in Northern California. In particular they are looking at evidence surrounding PG&E reclosers, equipment used to send pulses of electricity through power lines that are malfunctioning. State Senator Jerry Hill of San Mateo said “A recloser, by its nature and how it functions, can easily start fires if they’re not deactivated. When we see PG&E only turned off three reclosers in the entire area of Sonoma and Napa counties, it … could have presented a potentially dangerous situation”. The United Way has a deadline of November 30th to apply for grants from the United Way Wine Country Wildfire Relief Fund. You may be eligible if you were displaced from your home, lost your home, or lost vehicles or income. See our blog post explaining it in detail and download the form. After wildfires broke out in Sonoma County in October officials did not utilize the Cal Alerts system to warn residents. Officials instead relying on opt-in cellphone and landline programs that only reach a fraction of the county. FEMA and CA Office of Emergency Services state geographic targeting features have been available since 2013. Levin Simes Abrams would like to invite you, your family, friends and neighbors, to a Town Hall meeting on Tuesday, November 14th from 5:30 to 6:30pm at the Santa Rosa Veterans Memorial Hall located at 1351 Maple Avenue, Santa Rosa, CA 95404. Please see the flyer below for details. Drinks and snacks will be provided. This is a great opportunity to come together with your fellow community members to learn about resources that are available to you. See the notice at our blog. The California Public Utilities Commission has published a convenient fact sheet detailing all the consumer protections that exist for those affected by the Northern California wildfires. Learn about how billing cannot be continued to affected homes, new payment plan options, removed deposit requirements, and more. Power-line restart devices linked with past wildfires and were present in the Northern California wildfire areas. A new SF Chronicle article describes the devices, their history, and their possible role in starting the wildfires. Link to SF Chronicle article. Reports of downed power lines on October 8th and October 9th throughout Napa and Sonoma included locations in Kenwood, Santa Rosa, Glen ellen and Geyserville. Broken branches and trees damaged equipment in Ukiah in Mendocino and multiple locations throughout Napa County. PG&E may be liable for the damages from the fire if the wildfires are linked to their downed equipment or improper maintenance and clearance. Link to East Bay Times article. Incident reports at the California Public Utility Commission (PUC) detail the investigation into the cause of the Northern California wildfires. Investigators are determining the cause of the fires, but have already located downed power lines and and broken poles at locations considered likely to be source locations for the fires. 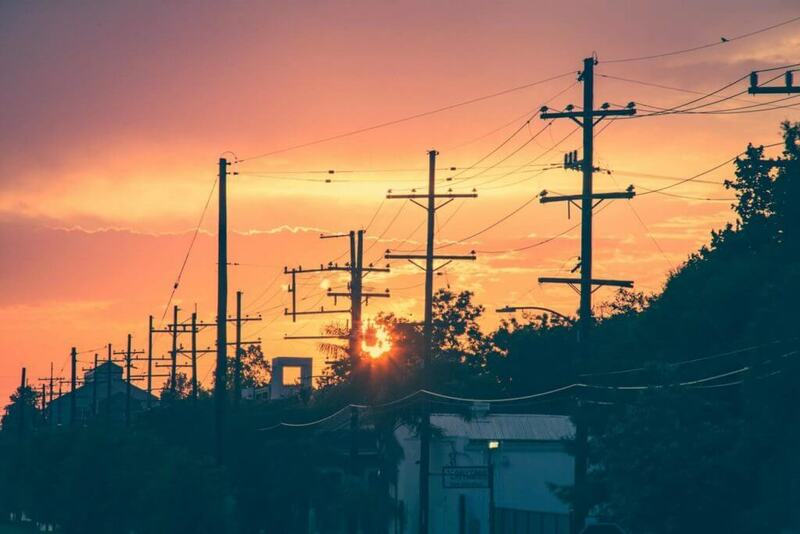 Pacific Gas & Electric (PG&E) violated safety regulations related to our electrical-grid at least 11 times throughout the North Bay region, according to a new article by the Mercury News. The Public Utility Commission (PUC) released 2015-2016 audits showing PG&E failing to make timely inspections in Napa and Sonoma county. Link to the Mercury News article. A public adjuster can represent you for a fee against insurance companies, and can help inventory your losses. But adjusters are limited and not the same as an attorney, especially if they are charging 5-15% including what insurance offered before help. Wildfire attorneys on contingency only claim a percentage of additional money they procure, underlying insurance claim remains whole. People displaced by the fires or those who lost their homes need help. In addition to our resource page, check out this article by the Sacramento Bee listing ways to get and receive help. Link to Sacramento Bee article.